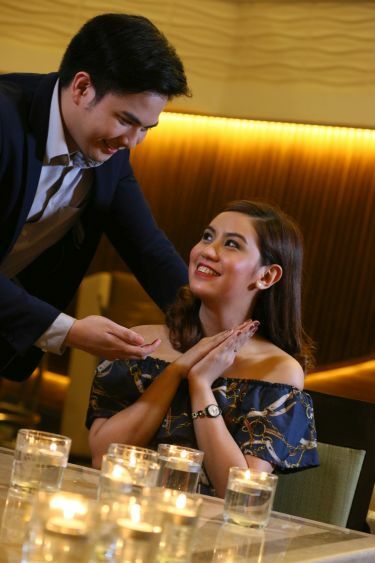 Carefully prepared by Century Park Hotel Executive Chef Raymond Chua, the Valentine’s Special includes Soup of the Day to be then followed by Mixed Green Salad with choice of three dressings. For the main course, choose from Pan-roasted US Beef Tenderloin Steak marinated with the finest herbs and topped off with marble potatoes, house made salsa verde and char-grilled vegetables or Mixed Seafood Picatta, a concoction of angel hair pasta, sauteed leafy vegetables and scallion cream sauce. To cleanse off the palate, a Trio of Lemon dessert will truly cap off this sumptuous dinner composed of Lemon Meringue Tart, Cheesy Lemon Cake and Lemon Gelee. “Valentine’s Day is not just for couples, it is really for families as this occasion is a celebration of love in all forms. We look forward to having you spend this memorable night at Century Park Hotel,” said Anthony Tan, Century park Hotel General Manager.